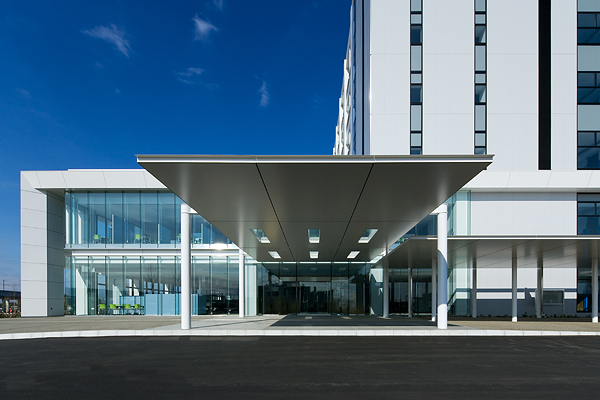 Tsukuba City Hall | PROJECT | YAMASHITA SEKKEI INC.
A tree-lined street running for 450 m east and west forms the backbone of this urban development project, connecting it to the surrounding city areas and serving to unify the plaza and parking areas with the new city hall. 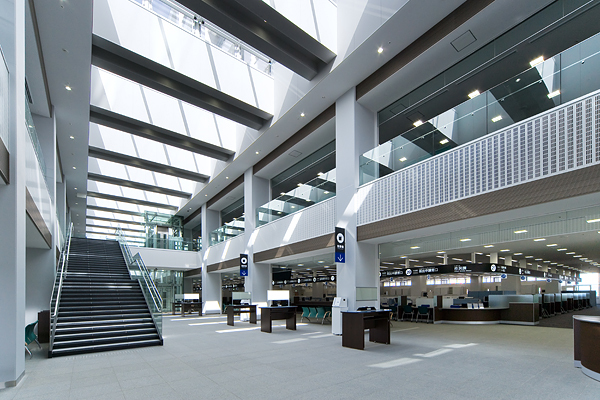 Our aim was to create a true “Tsukuba landscape” merging nature with pastoral and urban scenes. With the convenience of citizens as the top priority, the new city hall has been made readily accessible to all. 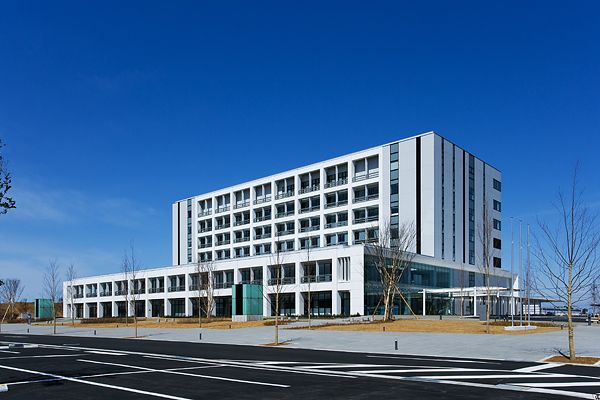 As a facility of the science and technology city Tsukuba, it has been designed for long life and with the latest in ecological measures. For example, it adopts a combination of aseismic structure plus precast concrete, and incorporates advanced environmental technologies emphasizing natural ventilation and natural light.